In 1794 Brough was described as a secure haven for small craft where a pier was needed. It is partially sheltered by the reefs running from the shore to Little Clett rock and the Hen's Head on the west and by Hilligay on the East. 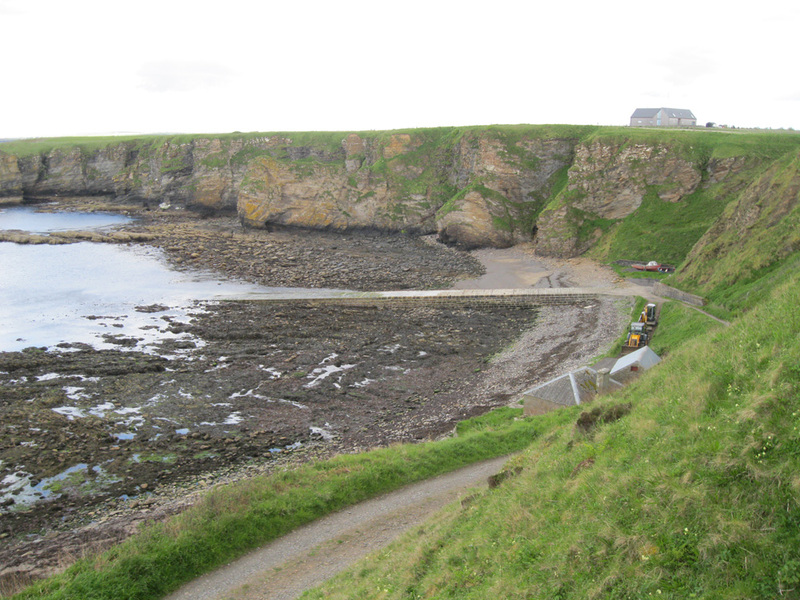 The stone-built slipway and adjacent store were built in 1830 by the Northern Lighthouse Board when the lighthouse was being constructed at Dunnet Head by Robert Stevenson. Stores arrived at Brough slipway and were taken to the lighthouse by horse drawn carts. Local fishermen made their living here fishing for cod, ling and shellfish. At the turn of the century, Brough fishwives used to walk 12 miles to Thurso carrying the catch to sell at the 'Auld Fishstane'. The slipway access road and part of the foreshore are now owned by the Brough Bay Association, which was formed in 1976. During 2010 and the early part of 2011, a project to renovate the pier and surrounding area was undertaken, funded by the Heritage Lottery Fund, LEADER, The Highland Council, Historic Scotland and Dounreay Communities Fund. Above text extracted largely from the Caithness Community website.